Each year, the European Commission's Directorate-General for Translation (DGT) organises a translation contest for secondary schools throughout the European Union. It’s called Juvenes Translatores, which, in case you’re wondering, is Modern Latin for Young Person Translators. The 2010 edition has been taking place this week. For the winners, their ’remuneration’ is that they get invited to an awards ceremony in Brussels. The contesting students have to be 17 years old, which is somewhat elitist since so many youngsters leave school at 16. Any school can apply, but it’s clear from the ones I recognise on this year’s list, that’s to say the UK ones, that they’re mostly institutions of the grammar school type, where, I suppose, traditional language teaching is still strong even in today’s linguistically lazy Britain. A total of more than 1,600 schools applied this year to take part (13% up on last year) and each school can put forward five contestants – so quite a cohort. The aim of the contest is “to promote language learning and translation” in the hope that it “promotes young peoples’ thirst to learn foreign languages.“ It’s gratifying to see language learning and translation linked together. The rules state that “there is no compulsory minimum level of formal language studies.” However, it’s made clear that the competition is addressed to Advanced Native Translators – not explicitly, but that’s how I would categorise them because it’s certain that though they haven’t been trained as translators and so aren’t Experts, they’ve had a good deal of contact with translation in their language courses. Furthermore, they’re allowed to use dictionaries (paper ones, no computers), and dictionaries are a sign of translator sophistication. Travel broadens the mind, they say. Despite the old adage that you’re never too old to learn, never is this truer than when the travellers are young, and never, in this increasingly globalised world, has mobility been more important. Back in 1987, when it inaugurated the Erasmus programme, the European Commission was ahead of the game. Erasmus has since given over 2 million European university students and thousands of lecturers the opportunity to study and teach abroad in more than thirty countries. The texts are about 450 words long and the time allowed is two hours; so there’s little time for reflection and revision. Another telling detail: “The contest has proved hugely popular.” Of the schools that take part, 99% apply to participate again. Even if we put some of the enthusiasm down to inter-school competitive spirit, it still means, as I’ve said elsewhere (September 4), that for many bilinguals translating is like a game and is not necessarily motivated by communication imperatives. DGT, European Commission. Juvenes Traductores. http://ec.europa.eu/translatores. 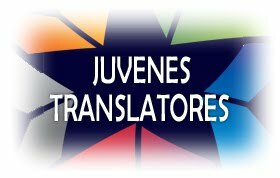 News on the contest as well as pictures and information from previous rounds are available on Facebook, and you can also follow Juvenes Translatores on Twitter. What more could you ask for? I’ve previously insisted on the importance of religious translating (including interpreting) and lamented that it’s given short shrift in mainstream translation studies other than historical ones. My arguments have been the amount of activity that it generates for Expert and Advanced Native Translators, and its profound cultural influence. Now comes news of another aspect, more mundane but still impressive. Wycliffe Bible Translators is a leading worldwide organisation in its field with HQ in Florida (see photo). It was founded in 1942 by William Cameron Townsend, a missionary to the Cakchiquel Indians of Guatemala. Now it’s campaigning to translate the Bible into all the two thousand or so languages in the world that don’t have it yet. To that end, they’ve already raised $250 million in donations, including one of $50 million from a single benefactor. And that’s not all. It’s only one quarter of their target of one billion dollars. I’m betting that over time they’ll get it too. Think of how many translators that’ll subsidise. What effect will they have on the two thousand languages, many of which don’t have a writing system yet? What effect will the translated Bible have on the receiving cultures? A speaker at an International Translation Day meeting a few weeks ago in Toronto, Maya Chacaby, whose language is Anishanaabemowin (aka Ojibwe), said that for small communities like hers, translation was the only way to save a language threated with annihilation in a country dominated by English and French. For which reason, she often works as a translator "without any remuneration." Christian Today, http://www.christiantoday.com, November 18, 2010. Marika Kemeny. Glendon's International Translation Day examines quality translation for a variety of voices. InformATIO (Ottawa), 39:3.5-6. The Wycliffe website is at www.wycliffe.org. When, for a couple of years, I was a history student at university in London, my tutor was Bernard Lewis. He was encouraging and very helpful to me. I didn’t realise at the time how privileged I was, because it happened in the days before he was brain-drained to the USA (Princeton) and became a well-known public guru of Islamic and Middle East history and affairs. At that period he was on a lower academic rung as a young Lecturer; however, he was already a multilingual authority on the history of the Ottoman (or Turkish) Empire, the Muslim regime that ruled most of the Middle East, North Africa and the Balkans for nearly five centuries until 1918. So when, in 2004, Professor Lewis brought out a book with the title From Babel to Dragomans, I knew at once who the dragomans were that he was referring to. Those dragomans were the official translator-interpreters (there was no distinction between the two functions) of the Ottoman administration at various levels. The most prominent of them were for a long time Constantinople Greeks. They were also the official translator-interpreters in the embassies and consulates of the Western powers that wanted to negotiate with the Turks or do business with them. The dragomans of the Westerners might be recruited locally or they might be their own nationals specially trained. The best-organised Western corps of dragomans was that of the French. Under Colbert, a school was established in Paris specially for training dragomans from childhood onwards. Among the other powers were the British, who, like the French, maintained their dragomans until the First World War (see References below). Since the dragomans were Professional Experts, they’re beyond the scope of this blog. However, Lewis tells an anecdote that does have some relevance here. One of our earliest accounts of a diplomatic communication in the Middle Ages comes from an Arabic chronicler called Awhadi. He tells us that a European queen, Bertha the daughter of Lothar, queen of Franja [Frankland] and its dependencies, sent a gift and a letter to the Abbasid Caliph al-Muktafi in the year 293 of the Hijra (906 CE). With them was a further message, not included in the letter, but addressed directly to the Caliph. The letter, says the Arab historian, was written on white silk ‘in a writing resembling the Greek writing but straighter’ (presumably this was Latin writing: the queen from Italy would obviously have used the Latin script). How did they read this message in Latin? 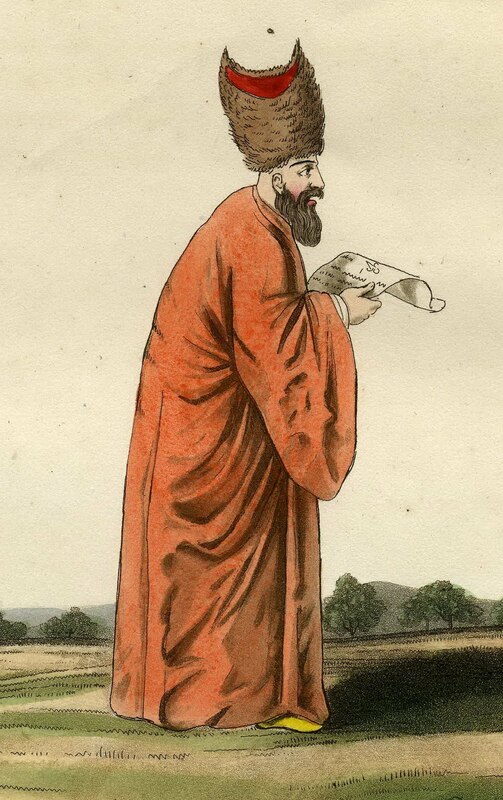 Who would there have been in tenth-century Baghdad that could read a letter in Latin? Awhadi tells us: they searched for someone to translate the letter, and in the clothing store they found a Frankish slave who was able ‘to read the writing of that people’. He was brought into the Caliph’s presence, where he translated the letter from Latin writing into Greek writing. Then they brought the famous scientific translator Ishaq ibn Hunain and he translated it from Greek into Arabic. You’ll expect me to remark, I’m sure, that even the famous Professional Translator couldn’t proceed without the prior contribution of a humble bilingual slave in a clothing store. But there’s more to it. First there's the apparent confusion between writing and language, as in “he translated the letter from Latin writing into Greek writing.” Of course the slave didn’t just transliterate the Latin letters into Greek ones, which wouldn’t have helped Ishaq much; he translated the message into the Greek language. It may be just an artefact of English translation, since the Arabic word kitâbah – I presume it’s that; Lewis doesn’t give the Arabic – can mean either a writing system, a script, or a piece of writing, a text. On the other hand, the identification of script with language would be understandable in the circumstances, since Latin, Greek and Arabic each uses a different alphabet that is characteristic of it. What is certain, however, is that the slave and Ishaq each had to know two of those alphabets; and the slave, living in Arab Baghdad, must have known all three. What I’m getting at is that to be fully bilingual in a literate society, it’s not enough to be able to pronounce two languages; you have to be able to read and write their scripts. You have to be biliterate in that sense. Writing systems have become essential gateways. Dragoman: Note the plural dragomans; not dragomen, which is seen sometimes but is etymologically incorrect. It’s a very old and widespread synonym of interpreter. Lewis traces its history back to Assyrian ragamu, meaning to speak. It entered English by way of Old French, Italian, Byzantine Greek dragoumanos, Arabic turjmân, Aramaic, etc. The meaning Arabic or Turkish speaking local tourist guide came in with modern tourism in the 19th century. Bernard Lewis. From Babel to Dragomans. In From Babel to Dragomans: Interpreting the Middle East, New York, Oxford University Press, 2004, pp. 18-32. 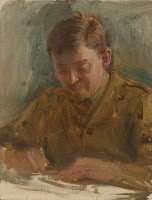 Sir Andrew Ryan, KBE, CMG., 1876-1949. The Last of the Dragomans. London: Bles, 1951. Ryan, who was what the title of his book says, rose from dragoman at Constantinople to ambassador to one of the Balkan countries. Difficult to find, but Amazon has books about another British dragoman, Gerald Fitzmaurice, and Johannes Kolmodin, the last dragoman of the Swedish embassy. Fitzmaurice’s title was Chief Dragoman, so there were others under him. We know, for example, that Ryan started as Second Dragoman. Glen M. Cooper. Ishāq ibn Hunayn. In Thomas Hockey et al. (eds. ), The Biographical Encyclopedia of Astronomers, New York, Springer, 2007, p. 578. http://islamsci.mcgill.ca/RASI/BEA/Ishaq_ibn_Hunayn_BEA.htm. David Diringer, et al. The Alphabet: a Key to the History of Mankind. Several editions. Available from Amazon. The classic work on the subject. This blog constantly bandies about terms like Natural Translator and Native Translator; and although there’s a side panel telling readers how to find definitions of them, it requires going back a long way. So I’ll take a pause and try to make them clearer. 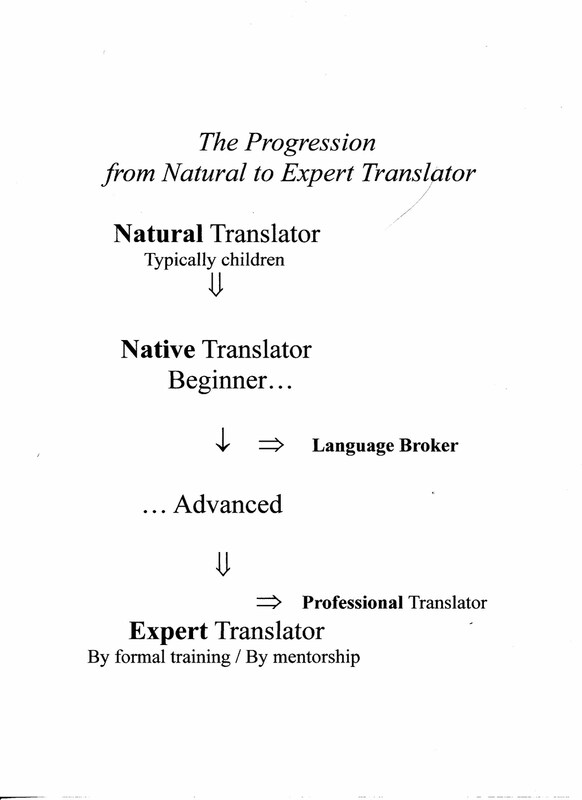 To that end, here's a diagram showing their relative positions in the development of translation ability and skills. At first I only distinguished between Natural Translators and Professional Translators, but that was too crude. 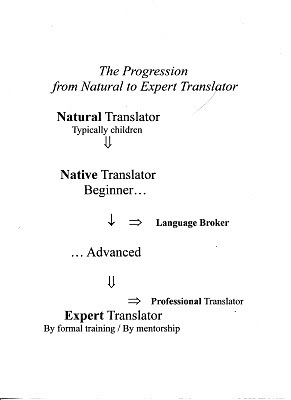 Now I reserve Natural Translators for bilinguals who’ve had no training, instruction or specific guidance at all in translating and so they do it intuitively and spontaneously. Since bilinguals usually come while still young under the influence of other people translating or are exposed to examples of translation, the best time to catch pure Natural Translators for study is in their early childhood. Once they go to school, it’s difficult to sift out the influences. However, they may be older. The next level, Native Translators, is that of bilinguals who have in fact been exposed to and influenced by examples: examples of other people translating and examples of translations done by other people. Here too I’ve realised that the categorisation is too crude. There’s a large gap between what a school-age child absorbs and what, say, a literary translator has learnt by years of reading that includes translations. Therefore it’s necessary to distinguish between Beginner Native Translator and Advanced Native Translator. Language Broker is a term that wasn’t coined by translation specialists but by educationists and sociologists. Language brokers are typically young Native Translators, sometimes Natural Translators, who interpret in a particular social context: that of immigrant communities whose members need to communicate with the host community. The term is new; my own first encounters with the phenomenon came in the 1970s before the term existed. I don’t like the use of broker as if it entailed negotiating a deal – intermediary would be better, as in the German Sprachmittler – but it’s here to stay. Coming shortly to this blog: A mediaeval tale of alphabets. Army's Iraqi interpreters face hardship after fleeing to UK. Read all about it at http://www.guardian.co.uk/uk/2010/nov/07/iraqi-interpreter-refugees-jobless-Britain. Still, they’re lucky to have got out alive from that hapless country. Though the Tokyo Trials took place long ago, we can still learn some things from Watanabe’s account of the most important one. Interpretation was inadequate in the earlier phase of the Trial (around May and June of 1946), sometimes giving only a summary of the exchange. 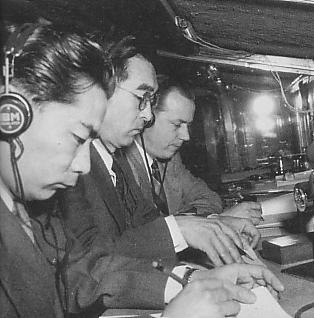 Over time, interpreters’ and monitors’ work and cooperation improved, providing an adequate teamwork performance by March 1947. However, it’s essential to provide a ‘safety net’ in the form of Expert Monitoring, and corrections must be admitted when the monitors spot mistakes. There was one monitor to every three interpreters at Tokyo, and the monitors did much more than just check the interpretation. The monitor supported the interpreter – for example taking notes for them of details such as dates, periods, etc. To sum up then, it appears that Native Translators can be used in place of Expert Interpreters subject to three requirements: monitoring, teamwork and time to learn. 2. The pool from which the Expert Monitors were drawn in Tokyo was formed of Military Interpreters. Military interpretation has yet to be accorded its due importance in the history, training and treatment of interpreters – and in translation studies, though it’s been around at least since the time of the Ancient Egyptians. The organisation of military interpreting in recent times has been notoriously ad hoc; and in Iraq and Afghanistan it’s been chaotic, with the American military offloading its recruitment needs to private contractors. The Americans did start to train interpreters for Japanese just before Pearl Harbour, but it was too little and too late. The British were caught even worse off guard - but that’s another story. However, the skills of many Expert Military Interpreters were ultimately forged in the fire of the Pacific battles. Perhaps, though, the most interesting lesson we can learn in this instance about Military Interpreters is that their role doesn’t end when the war does. Armistices must be negotiated, and after that there are other negotiations that are undertaken by the generals of the opposing forces. The generals naturally turn to the interpreters closest to them. Then there may be tribunals, as we have seen, and a period of occupation by the army of the victorious power as happened in Japan. Tomie Watanabe. Interpretation at the Tokyo War Crimes Tribunal: an overview and Tojo’s cross-examination. TTR (Montreal), 22:1.57-91, 2010. That the interpreters for the Trials weren't up to the level of Expert or Professional Translators doesn’t mean they had no acquaintance with translation. Some of them were officials from the Foreign Ministry, one at least was a journalist, one a university student. They were therefore presumably at some level of Native Translator. * As the interpreters had to be recruited in Japan, they might be suspected of bias in favour of the accused. Monitors from officials of the Allied Powers would be relied upon to check and correct the interpretation. Here bilingualism enters the picture again, but from a different direction. There were four monitors. All four were Kibei Nisei, second generation residents of the US who were born in US but raised and educated in Japan, and then returned to the US before the outbreak of WWII. They were bilingual (English and Japanese) and were expected to be well versed in Japanese culture. During WWII, they worked for ATIS (the Allied Powers’ Translation and Interpretation Section). They were involved in intelligence activities such as tapping lines of communication, code breaking, prisoner interrogation, information collection from diaries, memos and other materials seized from Japanese soldiers killed during the war. They had gathered sufficient knowledge about WWII to perform to perform their tasks at the Tokyo Trial. They were therefore Professional Expert translators by 1945, with much of the background knowledge required. 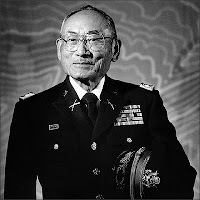 One such Japanese American was Steve Shizuma Yamamoto, who went on to have a long and successful career in the American Army (see photo). He had acquired his experience as an interrogator, having conducted no fewer than 3,000 interrogations in New Guinea. He isn’t mentioned by Watanabe, perhaps because he didn’t take part in the first trial. * The absence of an organiser in Tokyo with the clout that Léon Dostert wielded at Nuremberg as personal interpreter to Eisenhower. * There was no time to train the inexperienced interpreters for simultaneous, and in any case there were no trainers in Japan. * Something that was told me many years later by a Japanese interpreter, Sen Nishiyama, who had begun his career in that era: the Japanese believed that English-Japanese simultaneous would be impossible because of the wide difference in sentence structure between the two languages. They were wrong. Under American pressure during the Occupation, simultaneous was in fact introduced into Japan in the 1950s. Above the monitors was yet another tier, the Language Arbitration Board. Its members were unilingual English. Their task was to decide on any dispute or difficulty that could not be settled by the monitors. They were concerned mainly with terminology. Once the interpretation of a disputed word was resolved by the Board, the arbitrated translation had to be used for the rest of the trial. Some of the difficulties arose from cultural differences. There were moments when even Tojo intervened to try to clarify. It is undeniable that [in some instances] Tojo’s rapid understanding and response, as well as his adamant assertion of translation errors, led to language arbitration… It must be added that the Tokyo War Crimes Tribunal recognized the importance of cultural gaps. The last part of Watanabe’s article is devoted to examples of interventions by interpreters and monitors, of arbitration, and particularly to the dispute over the translation of the Japanese word taian: did it mean reply to a proposal or counter-proposal? A lot depended on that single word. There were no significant translation errors, because whenever erroneous or inappropriate interpretation was rendered by an interpreter, the monitor pressed a buzzer, lit a red light and corrected the interpretation. The monitors carried out their painstaking work within their capacity to secure the Japanese accused’s right to a fair trial. Sen Nishiyama. Translation and interpretation in Japan. Meta (Montreal), 28:1.95-110, 1983. A magnificent Karsh-quality portrait. A pity they don’t name the photographer.